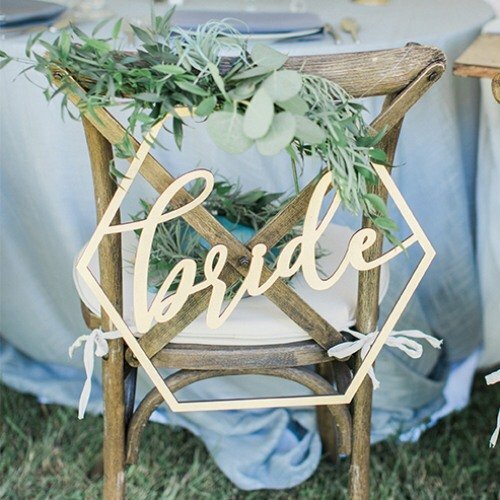 Stylish and unique, these bride and groom wood geometric chair signs will make a beautiful addition to your wedding. These signs come in a natural wood color. Hang on chairs at the sweetheart table, and display on a shelf in your home as a special reminder of your wedding day.